Jaguar Land Rover had planned to make 999 of the $295,000 SUVs. In an unusual move, Jaguar Land Rover has canceled a vehicle on the cusp of production — the $295,000 Range Rover SV Coupe. Powerful and opulent, the limited-production vehicle would have helped celebrate the Range Rover's nearly 50 years as the world's top-selling luxury SUV. And it would have been a warning shot across the bows of the Bentley Bentayga and Rolls-Royce Cullinan as the next Range Rover — expected to ascend far upmarket — takes shape for a possible 2021 debut. Jaguar Land Rover planned a short run of 999 of the svelte, hand-built three-door Rovers. The vehicle debuted 11 months ago at the Geneva auto show. Deliveries were due to start late last year. JLR confirmed the SV Coupe's demise this month, even though many customers had already configured their vehicles and placed their orders. Amid a cost-cutting program it refers to internally as "charge and accelerate," the company is aiming to slash nearly $3.2 billion in costs. The SV's powertrain would have been a 557-hp supercharged V-8, as used in some four-door models. But the rest of the vehicle, with its aluminum body panels, would have been expensive and labor-intensive to produce. Only the hood and tailgate are shared with standard-issue Range Rovers, while the remaining body panels were unique to the vehicle. Also, it's unlikely that any two SV Coupe interiors would have been identical, since JLR planned to build each vehicle to order. That level of customization would have driven up production costs. JLR had planned to manufacture the SV Coupe at JLR's Special Vehicle Operations technical center in Coventry, England. In a statement, the company said it is "focusing its resources and investment on the next generation of world-class products." A financial crisis has sapped JLR's profits at a time when its product development costs are soaring. 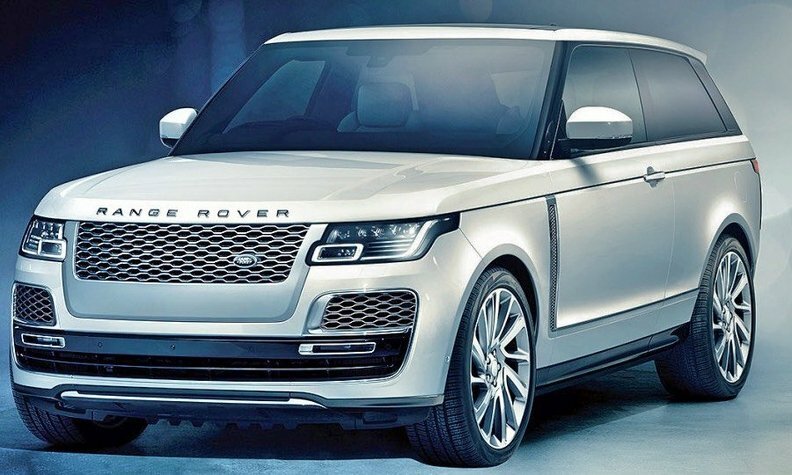 The company is preparing to launch several key products, including the new Land Rover Defender that is due early next year and the second-generation Range Rover Evoque, a high-volume, high-profit entry-level Range Rover. JLR also has been investing heavily in electrification and self-driving vehicles.